Virginia became one of the first states to institute a statewide medical examiner system in 1946. In that year, the General Assembly of Virginia abolished the office of Coroner’s Physician and appointed a Chief Medical Examiner. Four years later, in 1950, the Office of the Chief Medical Examiner (OCME) became a division within the Virginia Department of Health. In Virginia, medicolegal death investigators conduct a medicolegal death investigation, serving as the principal case investigator for deaths falling within the OCME statutory authority. The OCME currently supports more than 160 local medical examiners, who may conduct scene investigations in their locality. The OCME receives the initial notification of death and determines if the death should come under the jurisdiction of the medical examiner. Local medical examiners may examine and sign the certificate of death on medical examiner cases or, using professionally established guidelines, refer certain classes of cases for more intensive death investigation and medicolegal autopsy. any other suspicious, unusual, or unnatural death. When an autopsy is required, it is conducted in one of four district offices: Manassas, Norfolk, Richmond or Roanoke. Each district is staffed by board certified forensic pathologists, death investigators, clerical and morgue personnel. The Chief Medical Examiner, Dr. William T. Gormley, is responsible for the overall operation of the state’s medical examiner system. Virginia’s medical examiners and forensic pathologists are committed to public safety and to public health. To promote public safety, they testify to their findings in civil and criminal courts throughout the Commonwealth. 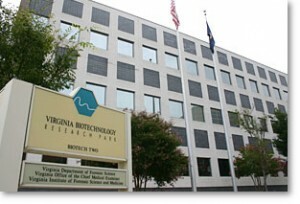 They advance public health through their investigations of deaths that present a hazard to Virginia’s citizens, such as emerging infections and bioterrorism. Public health is also supported through a well-established surveillance and fatality review program, one of a few forensic epidemiology units in the nation. The State Child Fatality Review Team, as well as maternal mortality review and intimate partner homicide surveillance projects, are all located within the OCME. In 2002, Virginia became a demonstration site for the National Violent Death Reporting System. Perform autopsies to certify cause and manner of death. Provide public service to citizens and professional colleagues throughout the Commonwealth. Educate peers and professionals on subjects related to death investigation. Reduce violent death by conducting surveillance and fatality review. Provide support and technical assistance to local fatality review teams. Administer the State Anatomical Program. Submit your feedback on this webpage to: Keshia Singleton.